Zach Maynard suffered what could be a season-ending injury in Friday&amp;#039;s loss to Washington. Maynard Mondays Week 8: The return of Sack Maynard’s poor offensive line? 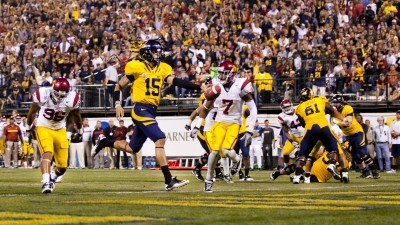 Friday might have marked the end of a truly great epoch in Cal football history: the Zach Maynard era. Yeah, he still might play this season after spraining his knee late in the fourth quarter on a gator roll tackle against Washington. Yeah, head coach Jeff Tedford confirmed that an MRI showed no serious damage and that Maynard is being monitored on a day-to-day basis. But all signs point to backup Allan Bridgford calling the shots against Oregon next Saturday, and likely for the remainder of the season. 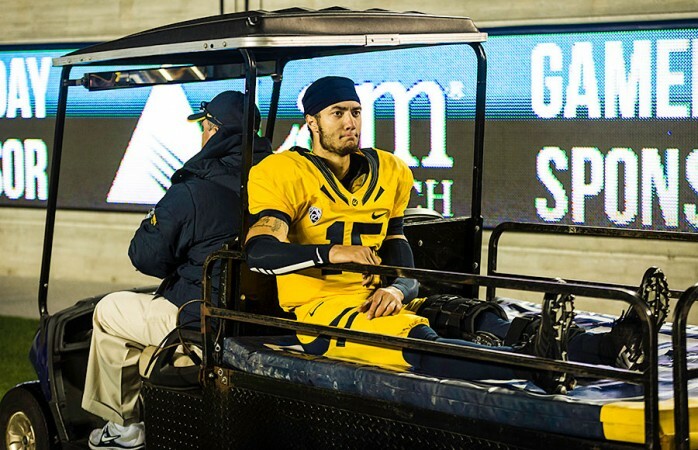 With Maynard taking his probable last snap as a Bear on Friday, I figured I’d use my Maynard Mondays space to review Zach’s career as Cal’s starting quarterback. The Maynard era began with promise in the 2011 season. Four touchdown passes against Colorado in a thrilling overtime victory gave Bears fans a reason to believe as the season progressed. But Maynard never really settled into his role. Of the first nine games of the season, not once did he complete more than 60 percent of his passes. Maynard was wild and often forced too many passes to his half-brother, Keenan Allen. In the Big Game last year at Stanford, though, Maynard started to show some promise. 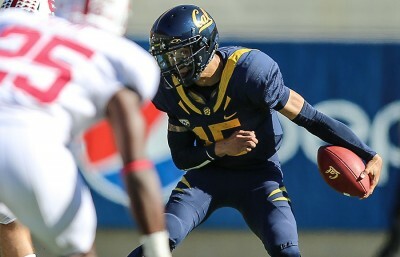 He completed 69 percent of his passes for 288 yards and almost led Cal to an upset victory. He followed up the performance with another strong, efficient game (73.6 percent completion rate) at Arizona State, giving Bears fans hope that a new and improved Maynard would lead the team to greater success in 2012. During the offseason, Tedford was high on Zach in spring camp, saying he’d seen vast improvements. 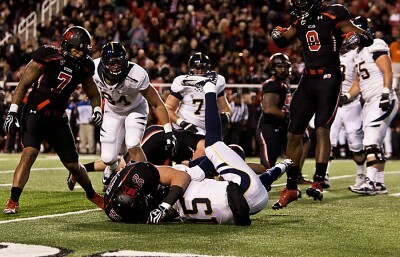 But the season opener against Nevada killed any lingering optimism. Although his stats weren’t horrible, Maynard was unable to bring the team back after sitting out the first quarter because of a tutoring issue. After a decent performance against Ohio State that resulted in a loss, Maynard went back to his inconsistent ways: he went 18-for-33 and two interceptions against USC and 9-for-28 against Arizona State. And then, randomly, 25-for-30 and four touchdowns in the big win against UCLA. After a season and a half of Maynard at the helm, Bears fans were still unsure what to make of the slippery, slight lefty. Was he a mobile quarterback with an ability to throw on the run? Was he an inconsistent scrambler lacking the throwing accuracy to make in Division I? Even to this day, these questions remain unanswerable. As confusing as it was, we can’t say it wasn’t memorable.